The future users of the built environment will include a wide range of autonmous agents, such as servicing robots and autonomous wheelchairs. 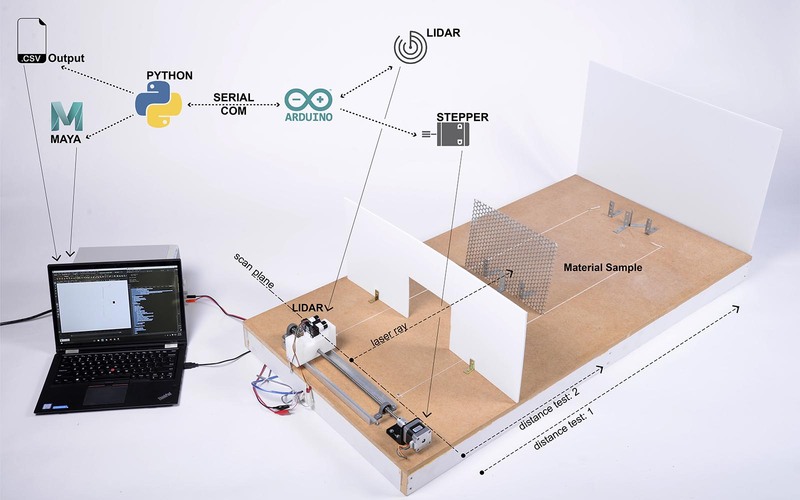 This research investigates effects of common building materials on the Light Detection and Ranging (LiDAR) device to provide guidance for the development of autonomous/robotic-friendly environments. The LiDAR is used commonly in autonomous vehicles for navigation and collision detection. 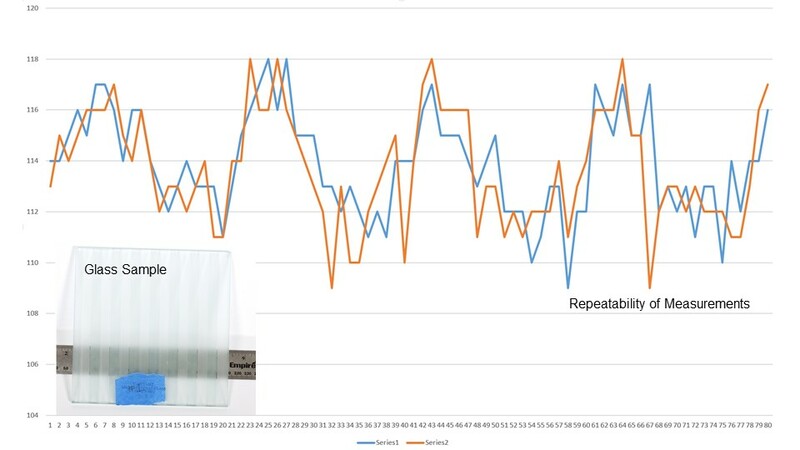 The results of this study demonstrate how various materials (particularity glass) provide missing or inaccurate data (measurements) leading to potentially dangerous situations in the context of indoor autonomous mobility. Finally, the research proposes techniques and ideas helping designers to develop new materials with autonomous vehicle friendly characteristics. Researchers+paper authors: Mathew Schwartz (NJIT) and Andrzej Zarzycki (NJIT). This research was published at eCAADe 2017 conference: CuminCAD paper link or Academia.edu repository page. plate, clear glass, opaque plastic, and a cardboard material were used. was implemented on the Arduino. Python programming language with the pySerial module was used to send and receive data with the Arduino. The experiment was conducted multiple times to validate consistency (the level of errors) between each pass. The diagram below show each pass separately. Multiple passes/tests show convergence of results. 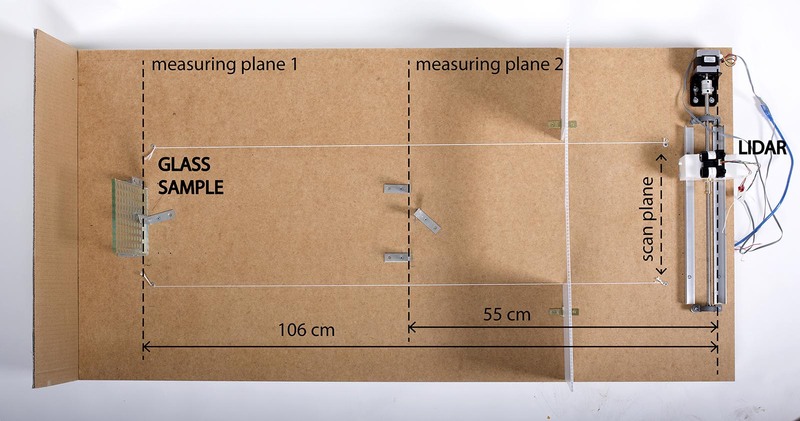 Results from a 55cm perpendicular sample. Sample numbers correspond to the specific names described in the methodology. Both sides of the samples were tested. The average, maximum, minimum, and standard deviations of the data are displayed, followed by the average, maximum, and minimum errors from the actual distance. Color gradient from white to red , where red is the highest value per column. Sample 9 shows very high levels of errors due to the ‘lens-like’ topology of the glass surface.